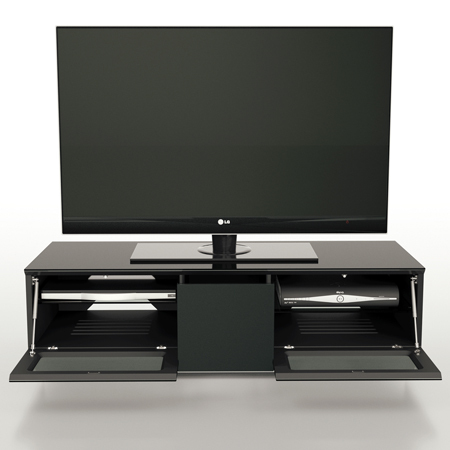 Alphason EMT1250CB, Element Series TV Stand with Media Storage Suitable for Flat Screen TVs up to 60"
International trends in furniture design inspired the concept of Element. The design is based around a monolithic form, unfolding by simply touching the glass to reveal your AV equipment and Blu-ray collection. Infra-red friendly glass doors mean you can operate all your AV accessories through the doors, maintaining element’s sleek look.